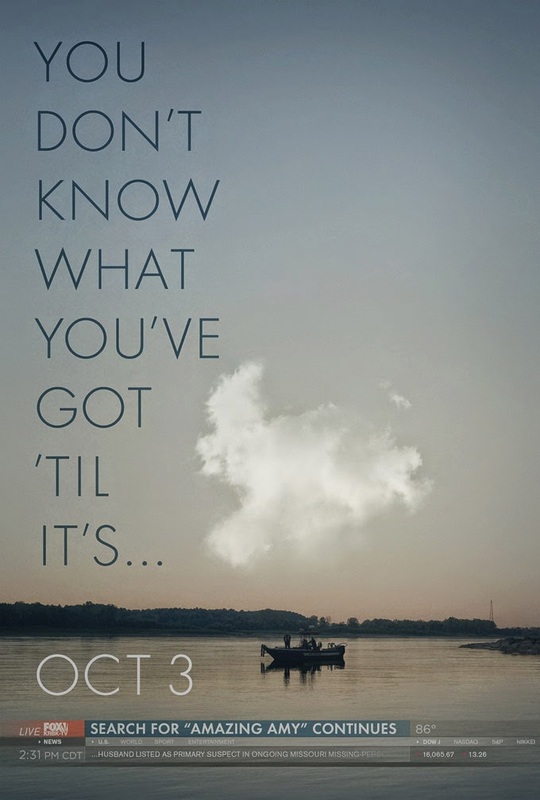 Today is the day Fincher wants to hit you as hard as he can: With a first poster for his upcoming "Gone Girl", and the film's first trailer later today. Awesomeness! great, I can feel the atmosphere of the film. And Fincher is out of a Jobs! Teaser site, with Reznor&Ross music & trailer link? Thanks for all the links Simon.